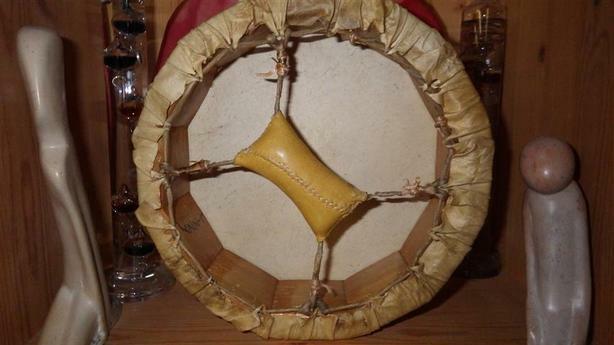 Traditional Native 10" frame drum handmade by a First Nations North West Native Coast Salish shamanic drum maker. The maker apprenticed with a Lakota maker, and his shaman drum styles are in the Lakota/Plains style of traditional hoop or frame drums. 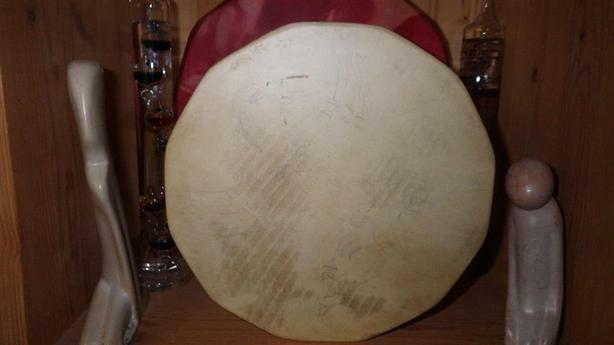 The maker handcrafts beautiful, shamanic/medicine drums which will withstand the rigors of long and intentional use!